Why has Meghan Markle's mother been taking lessons in new mum and baby care? Why has Meghan Markle’s mother been taking lessons in new mum and baby care? We spotted this story a couple of days ago and wondered if it was accurate. A little digging has revealed that it seems to be true and she may be set to be the first royal granny nanny! It was alleged that the Duchess of Sussex’s (who has the most stared at mid-section in the world, at present) mother Doria had recently undergone ‘nanny training’ in Los Angeles and was preparing to care for a future royal grandchild. As there had been a lot of chatter about a possible royal pregnancy even before the pair got married, we weren’t so sure about this latest nanny Doria story. But a quick dig into the business it’s alleged Doria turned to for a refresher course in parenting showed that there may be much more truth to this than we first assumed. 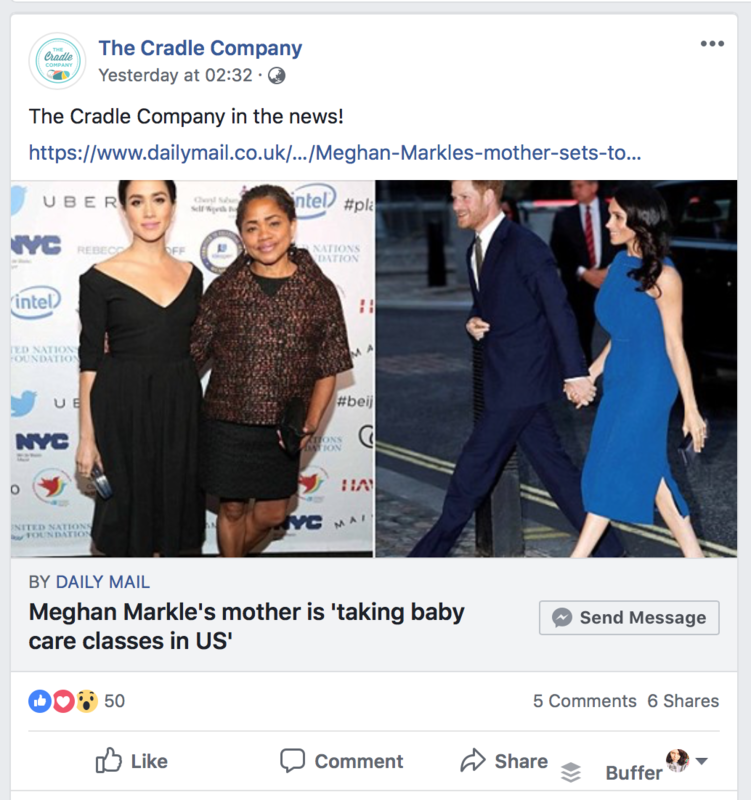 Yesterday the folk in question – The Cradle Company – appeared to confirm this story, giving their Facebook page a speedy refresh, sharing a report about their work with Doria and trumpeting “The Cradle Company in the news!” with a link to a story about Meghan’s mum “taking baby care classes in the US”. Doria’s already a yoga teacher, so diversifying her skills to include the care of modern (royal) babies doesn’t seem that much of a stretch. Couple this news with the fact that Doria recently flew to England to spend time with her daughter and new son-in-law, Prince Harry, and we have to admit we’re trying very hard not to jump to conclusions. So what does this now-famous prepping-for-baby company actually do, and why would Doria be signing up for their classes? “The Cradle Company is a postpartum center specializing in all things baby!” their Facebook page explains, noting that they also teach online and by private appointment. Friends and family of The Cradle Company founder Brandi Jordan congratulated her on her royal relationship and while she didn’t share any further details she ‘thumbs-upped’ their excited comments. “What a cool arrangement! Go Brandi,” one pal wrote. “Brandi Jordan!!!! Amazing! !” another trilled. Of course, it’s not known when Meghan and Harry plan to try for a baby, but with Meghan’s appearance in a very ruffle-y blue dress on the weekend and this news about Doria, many suspect that they either have something up their sleeve OR are planning a pregnancy very soon.